Wearing a safari themed dress by Hell Bunny and an Erstwilder brooch that I have been very excited about! 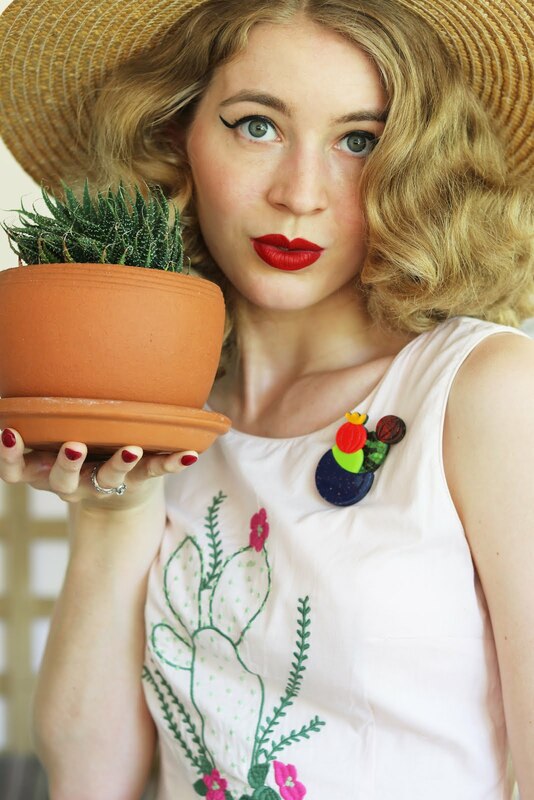 A classic wiggle dress with a lovely perfume bottle brooch which I just love paired together! Wearing a super sweet dress captured in the evening light, even Kitty joined me for some photos. 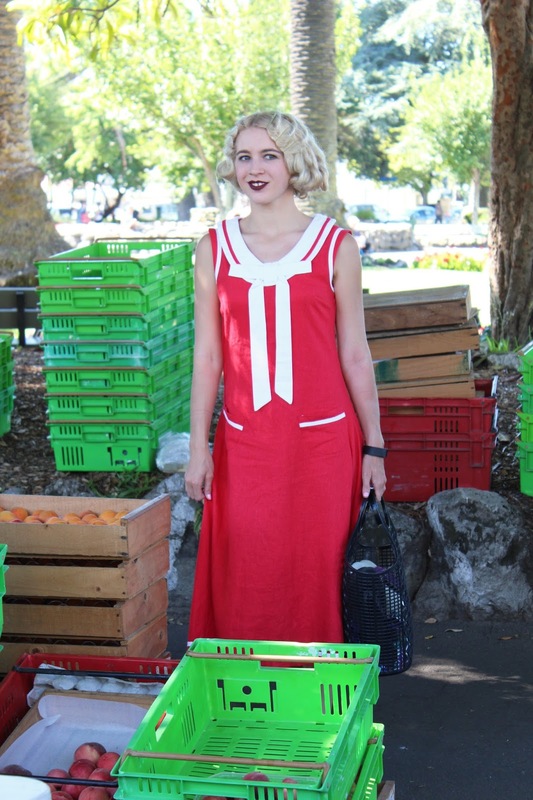 Another blog post from my visit to Napier, New Zealand. Although this was in January it is actually nice to put up some of my posts a bit later and reflect on what was a wonderful visit to see family and to visit places familiar and some new. I love a dress that buttons all the way down, has a nice full skirt and a really fun print - this one fits the description! 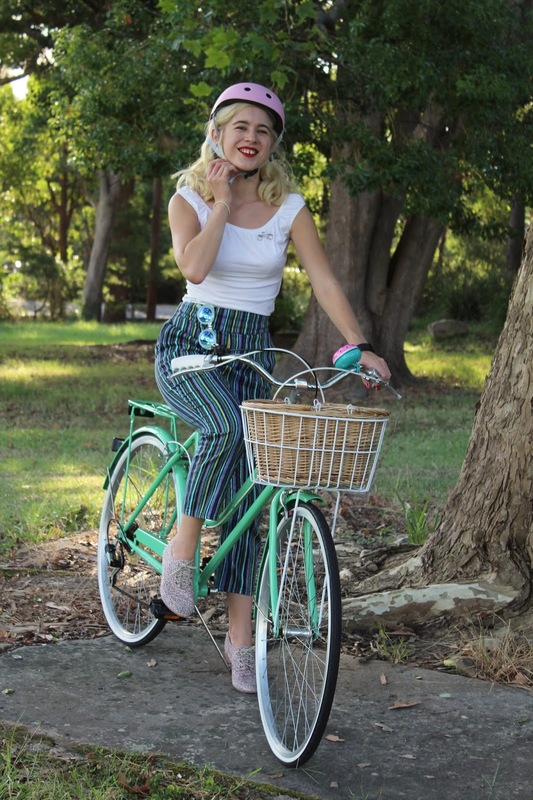 Yay, I finally have a retro bicycle and there is a good little story to go with it! 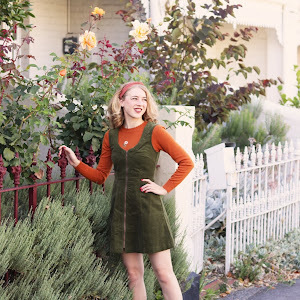 I wore this outfit on a Sunday about a month ago and I am finally posting it on the blog.